C.F. Jeff Wu is an iconic figure in the field of engineering statistics. In honor of Wu’s 70th birthday, and to celebrate his many accomplishments, ISyE will host “WuFest,” a two-day conference at Georgia Tech focusing on engineering statistics and related topics. Wu’s honors include membership in the National Academy of Engineering (2004), Member (Academician) of Academia Sinica (2000), COPSS (Committee of Presidents of Statistical Societies) Presidents Award in 1987, and Einstein Chair Professor at Chinese Academy of Sciences in 2011. He is a fellow of the Institute for Operation Research and the Management Sciences, American Society for Quality, the Institute of Mathematical Statistics, and the American Statistical Association. 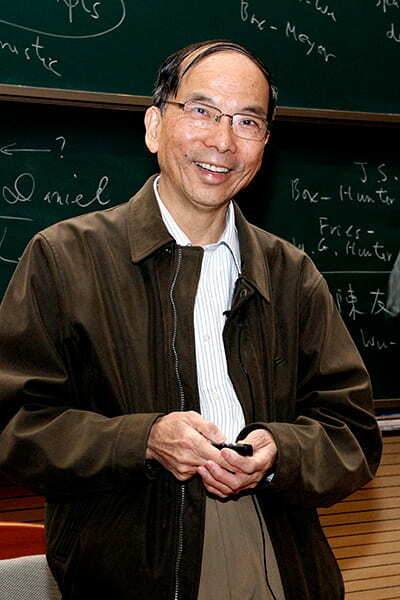 Dr. Wu has won numerous awards, including the Deming Lecture Award by American Statistical Association in 2012, the Fisher Lecture Award by COPSS in 2011, the Shewhart Medal by American Society of Quality in 2008, the Pan Wenyuan Technology Award (Taiwan) in 2008, George Box medal by ENBIS in 2017, (inaugural) Akaike Memorial Lecture Award in 2018 (Japan), and many others. He has supervised 48 PhD students, out of which 20 are fellows of professional societies. Wu has made fundamental contributions to the methodological and theoretical developments of a wide variety of statistical and application areas such as design and analysis of experiments (optimal, sequential, factorial), computer experiments, robust parameter design, statistical computing, re-sampling methods, complex surveys, nonlinear least squares, and uncertainty quantification. The conference will bring together top researchers in these areas to present their new research findings, and serve as an opportunity for researchers to share and discuss their ideas and visions of emerging problems in their fields.